Market volatility is still expected this year amid various political and global trade issues. Here are some tips from hedge fund manager Jim Cramer to help investors weather these challenges. The stock market became unpredictable for the majority of 2018 with multiple rate hikes by the Federal Reserve, a partial U.S. government shutdown, and the enduring U.S.-China trade war which continues to hurt markets at present. By December of last year, many stocks have gone to a bear market territory, and sentiments were mostly negative. How should investors tread through the market in 2019? In a relatively negative market, Cramer urges investors to watch out for stocks that could beat, exceed, and overcome widespread pessimism. He also believes that investors, when looking in different sectors — take for example the retail sector — should not just take the hint from one major player. Instead, they should observe the movements category by category to pinpoint the winners and the losers per grouping. 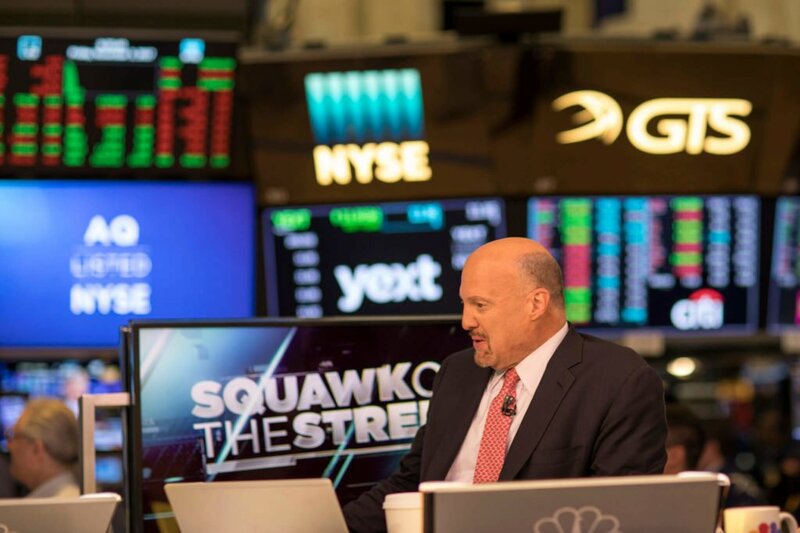 Cramer is a former hedge fund manager who founded Cramer Berkowitz in 1994. He also co-founded the finance website The Street in 1996. The Cramer Berkowitz had significantly built his estimated $100 million net worth at present. When he left in 2011, he wrote books and became a full-time host for CNBC. Here are Cramer’s different views on the major events which are shaking the stock market at present. So far, 11 percent of Q4 financial reports for the S&P 500 are already in. Three-quarters of those who have reported exceeded the expectations of Wall Street analysts with regard to profits while more than 50 percent surprised analysts with their better-than-expected results. A lot of the companies which impressed analysts came from the communications services, consumer discretionary and healthcare, according to CNBC, citing data compiled by FactSet. As of, Jan. 20, the S&P 500 was up 2.9 percent and up 6.5 percent for the year. Big banks posted strong results in consumer businesses and credit quality even if they grappled with bond trading. Ahead of its fourth-quarter results, Cramer said Bank of America “could surprise to the upside.” Indeed, out of the big banks that reported earnings early this month—J.P. Morgan, Goldman Sachs, Wells Fargo, and Citigroup—Bank of America delivered the strongest earnings. “Bank of America is a growth stock after this,” Cramer said on “Squawk Box.” He added that its strong performance was driven by its initiatives to improve digitization and the quality of its consumer-banking business, aside from its lower taxes. “[Bank of America] is the best, is the best so far. I want to make that very clear,” Cramer said. This year, several startups have expressed their interests to go public. Airbnb, WeWork, Slack, Palantir, Uber, and Lyft are reportedly among these startups. The most talked about is the planned IPOs of Uber and Lyft. 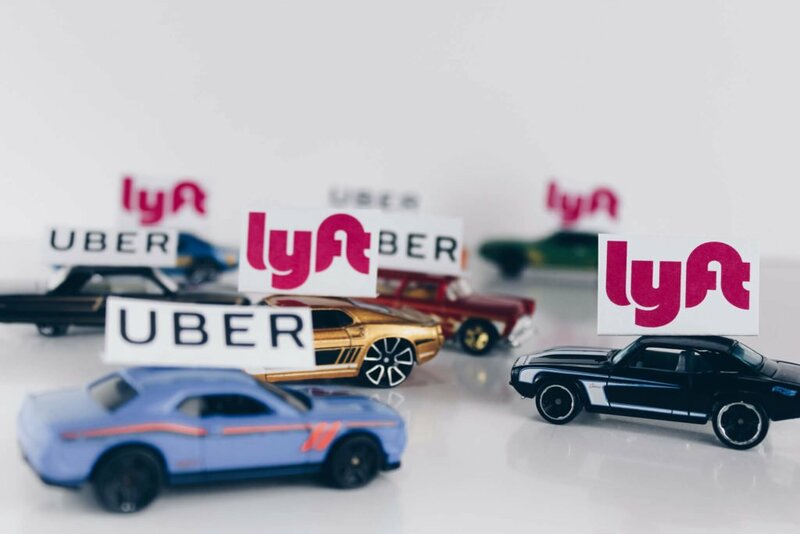 According to reports, Lyft’s IPO could give it a valuation of as much as $30 billion while Uber’s valuation could go as high as $120 billion if it pushes through with its IPO. Cramer, however, is not enthusiastic about their IPOs. He said their public listing could drive away capital from the high-performing technology stocks or FAANG stocks which all remains to be “ripe for the picking.” FAANG is an acronym for Facebook, Amazon, Apple, Netflix, and Google. Cramer hinted that as far as buying, FAANG stocks continue to be the best option and winners for investors. The Federal Reserve raised interest rates four times last year with the stock market plunging on all four occasions. Worse, officials mentioned several times that there might be two more interest rate increases before it could achieve a new normal rate. The interest rate hikes were followed by the ongoing government shutdown. While investors could easily be skittish at present, Cramer said you can protect yourself. “I think you have to trim your positions in stocks that are related to the consumer and move that money into stocks that are levered to secular growth trends — trends that won’t let up even if there’s a significant slowdown in the economy caused by the government shutdown,” Cramer said. Not only does the trade dispute affect the global economy, but it also affects the movements of stocks on the market. Cramer, however, remains optimistic. Last week, he said Silicon Valley executives told him that they are willing to endure the impact of a trade war because they believe that the U.S. will emerge as the ultimate winner. Apparently, as the dispute lingers, the more it becomes obvious that the Chinese economy is not as strong as how the country claims it is. For instance, China’s exports fell 4.4 percent in December and imports fell 7.6 percent compared to a year ago. The Asian country has also been accumulating its largest trade surplus with the U.S. in more than a decade. Cramer added that Silicon Valley people believe that China will surrender soon. “They export more than $500 billion worth of goods to the United States [and] only import … less than $200 billion. China has a lot more to lose than we do. But beyond that, a lot of these executives believe that the Chinese economy is much, much, much weaker than we think,” Cramer explained. He added that if the two largest economies decided to cease trade relations altogether, China may plunge into a recession while the U.S. would just simply move on. Still, he encouraged investors to observe the three A’s — American Express, Apple, and aerospace — to know if concessions between the two nations are going to be met in the coming days. If China grants American Express to operate inside the country, this means that the Asian powerhouse is ready to open its economy to the U.S. financial sector. If Apple makes any positive announcement related to its business, sales, and revenues in the Chinese market, this means that China is once again open for a smoother relationship. “But the most important show of good faith would be for China Airlines to place a gigantic order of planes with Boeing, an order that would reverberate throughout the entire aerospace complex, including Honeywell, United Technologies, and GE…which is finally starting to [trade] like an aerospace and industrial stock again,” Cramer highlighted. Volatility in the market should always be expected. Geopolitical tensions, business-related controversies, and global economic slowdown may always happen anytime. Still, a smart investor will always find a way on how to look forward, see way past the challenges, and develop his foresight. Based from Cramer’s views on various issues, investors should analyze the stock market movement sector per sector, choose stocks that exceed expectations, and continue trusting the big names because they would likely be the ones to emerge victorious from whatever challenges thrown at them.